Designing for manufacturability doesn’t end with adding draft and parting line geometries to a CAD database. Sound engineering demands a complete tolerance analysis to ensure good fit of parts coming from production processes. Doing so can also bring forward a host of other issues that need to be addressed, such as what tolerances can the manufacturer hold? What are the largest acceptable cosmetic gaps? And do additional alignment fixtures need to be developed ahead of time to ensure proper fit? 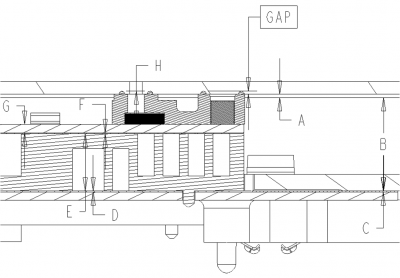 During the TA process, you may even find that some designed in clearances are too tight or non-existent, leading to a malfunction due to the design. At a minimum, its an opportunity to go through the assembly with a fine tooth comb. At Optimal Design, we utilize the loop method for tolerance analysis within our design process. We’ve developed intelligent spreadsheets that calculate the six sigma RSS (Root Sum of Squares) and the DRSS (Dynamic Root Sum of Squares) tolerances . This tolerance information is then utilized in individual component drawings for inspection purposes. Not performing a diligent tolerance study on your assembly can wreak havoc on your yields, an especially magnified issue during the critical product launch and ramp phases. Ask us how we can assist you developing products that are elegantly designed and easy to manufacture.